SCVTV.com | The Real Side: Will they ever grow up? KHTS AM-1220 | Will they ever grow up? All is fair in radio. Politics, religion, prejudice, illegal immigration, legal immigration. Don’t miss the “You’re Not Serious” segment. We will be dealing with some of the most asinine items from the week’s news. REAL and RAW! You don’t want to miss this show. 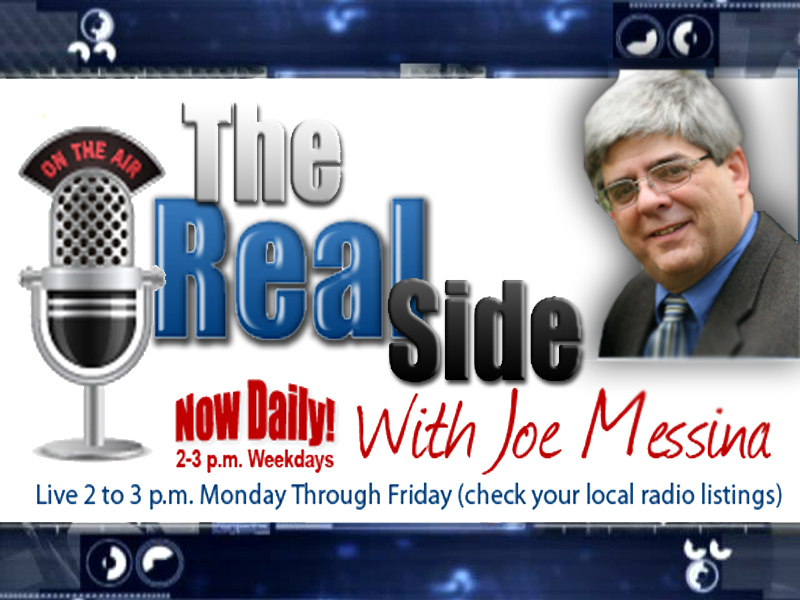 ”The Real Side with Joe Messina.” Every Monday at 1pm on KHTS AM-1220. Joe and his family moved to the Santa Clarita Valley in 2001 and quickly became active community members. Joe knows that the youth are our future and is actively involved in making sure our youth have every opportunity to succeed. Joe currently serves as a Board Member for the Wm. S. Hart Union High School District. Prior to his election to the Hart Board, Joe served for nearly 10 years on the SCV Youth Project Board of Directors and he continues to enjoy teaching Business Ethics through Junior Achievement. Joe is the owner and founder of The Wildcat Business Group. He has been in the Information & Technology field for over 25 years and served in upper management level positions for Johnson Controls, ENTEX International, Romac International, and Shadow Broadcasting Company servicing companies such as Cedars-Sinai Medical Center, National Pacific Mortgage, and Fidelity Federal. Through this broad client base, he has practical experience providing a wide variety of technology solutions to businesses in fields such as: financial and mortgage services, hotel management and operation, personnel staffing and recruiting, field sales automation, manufacturing, and legal services, among others. His no-nonsense approach to solving business problems and cost-effective solutions were key factors contributing to his success. Joe is an active member in the SCV Chamber of Commerce and VIA and a vocal supporter of the “Shop Local” campaign. His love of Santa Clarita grew into political involvement and he currently serves as a member of the 38th Republican Central Committee and on the Board of Directors for both the SCV Congress of Republicans and the SCV California Republican Assembly. Joe’s desire to make a positive impact in the Santa Clarita Valley and surrounding communities is what drives him to remain actively involved in so many areas. Fortunately, all of the children are now grown and out on their own, so he and his wife, Tammy, have time to do just that. No Comments for The Real Side: Will they ever grow up?